Whenever Amelia Liana raves about a product as much as she has with the Maybelline Super Stay 7 Days Nail Polish (phew! ), I know it has to be in possession, and fast. I picked up the shade Uptown Blue. This shade is so lovely, a minty blue kind of colour, which I think will look great all year round. I love the brush, it's nice and thick so pretty much covers the nail, making application nice and easy. I would say it's 2 coats until it's opaque, which is pretty good, although drying time is a bit longer than I would like. As for the 7 day claim, I would actually say it's pretty accurate! I applied it on a Sunday, and it was only looking a bit worse for wear by the Thursday, and I'm pretty impressed with 5 days, considering a Nails Inc manicure I received recently didn't even last 24 hours before chipping (boo!)! 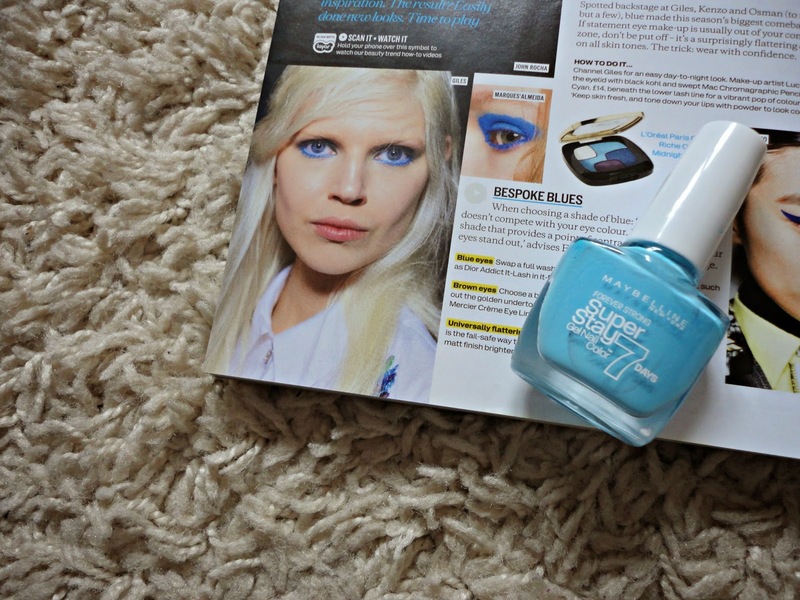 This Maybelline offering is definitely worth a purchase if you're in the market for a new nail polish.